After being in the watch community for so long, I can tell you that I've noticed some patterns. There are a few mistakes that nearly every new watch collector makes, and I'm going to share some of the most common ones with you. You'll want to avoid making the same mistakes as your predecessors. Hopefully these tips will help you to buy a watch that you love and wear for years! If you've been in the watch community for a while, then let me know if I hit the most common mistakes new watches collectors make. If I missed one, please share it in the comments below! Oftentimes new watch collectors think they need to own a large collection of watches to establish their credibility as a “watch guy or gal.” However, building a collection of watches doesn’t happen overnight. If your main goal is to fill up your watch box, then you’ll soon own a large collection of watches that you don’t care about. Give yourself time to discover the hidden gems that mean something to you. Don’t be afraid to take the time to research before buying your first watch. In the long run, you’ll be much happier with your watch collection if you take the time to buy every watch than if you build a collection of watches you don’t care about. If you’re brand new to the world of watches, we recommend starting with low- to mid-range luxury watches. This will give you a chance to see which type of watch best fits your lifestyle. Using this strategy may save you from spending a large chunk of change on a watch that you hardly ever wear. For instance, if you’re interested in a Rolex watch but you’re not sure if the style and size will look good on your wrist, consider purchasing a Tudor watch. Tudor is a sister brand to Rolex, and Tudor watches feature the same case materials, as well as similar designs, bracelets, and dials. However Tudor watches are much less expensive because they typically use a Swiss made ETA or Valjoux movement. Purchasing a Tudor watch will give you an opportunity to test out the Rolex style without spending a lot of money. Although it’s tempting to buy an eye-catching watch, buying on impulse can lead to disappointing purchases. We recommend spending time to research and read reviews about each watch. Also, if you have the opportunity, we strongly suggest you try the watch on to see how it fits on your wrist. Wearing the watch will allow you to feel the weight of the watch, see how the case material looks against your skin tone, and determine if the style and design appeals to you. If you don’t have the option of trying on a watch, then read reviews from people who already own the watch and find images online of people wearing the watch. You should also know which watch size fits your wrist best. You can find your ideal watch size by downloading this watch sizing guide. Simply print off the sheets, cut out the watches, and try them on. These tips will give you a general idea of how the watch will look on you, thereby decreasing the chance of buying a watch and hating how it looks on your wrist. Unfortunately this is a common mistake for both new and old watch collectors. This is a friendly reminder that you do not need to own a watch from a luxury watch brand to be a watch enthusiast. What makes this community great is the variety of people who come together through their love of watches. Some of these watch enthusiasts may not be able to afford a Patek Philippe, a Vacheron Constantin, or an Audemars Piguet, but that doesn’t mean they don’t know everything there is to know about the top luxury watch brands. The luxury watch community is very similar to the luxury car community. Only a few car enthusiasts own a Ferrari or Porsche, but there are thousands of people that read and research about the newest luxury models. These individuals understand that they will most likely never own their dream car, but that doesn’t stop them from learning more about luxury cars. A watch’s quality is not determined by its price tag, so don’t let an expensive watch trick you into believing it is inherently better than a less expensive watch. Brands will oftentimes sell their watches at a higher price to create the image of luxury and make consumers believe they are buying a high-end timepiece from a luxury brand. 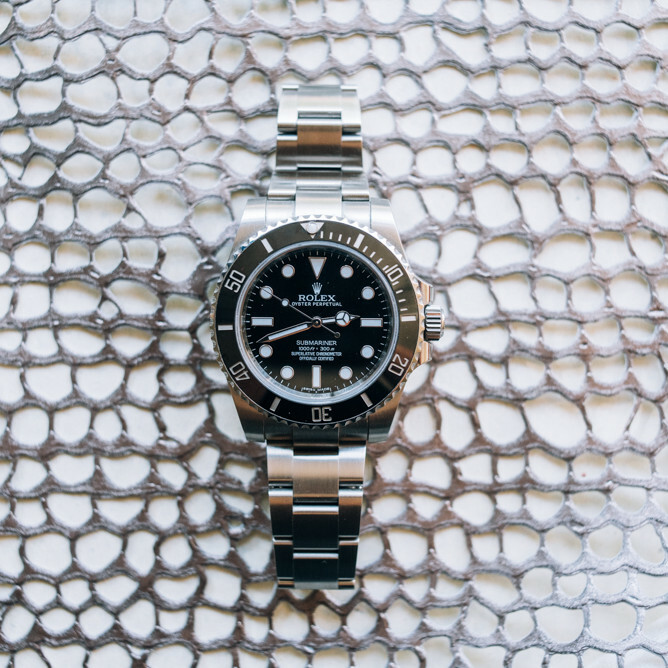 Brands create the illusion of luxury by increasing watch prices. When buying a watch, you should consider its balance, movement, finishings, dial design, and complications. Compare brands based on what they offer rather than the price point at which they sell their timepieces. In the past 50 years, men's watch sizes have evolved from 36mm to 46mm and larger, and women have made the transition to larger watches as well. Although larger watches are currently trending, you cannot assume that this will continue for the next 50 years. The watch you purchase should fit your wrist, regardless of its dimensions. Trends come and go, but a luxury timepiece should last a lifetime. When buying a watch, you should not let current watch trends sway your decision. You should determine what style and size of watch works best for you. We can all agree that the accuracy of a watch is determined by the quality of the movement. However, there is a misconception that a quality watch requires an in-house movement. If you limit yourself to just in-house movements, then you’ll miss out on the Valjoux 72 or 7750, the ETA 2892, or the Peseux 260. An in-house movement doesn’t instantly transform a good watch into a great watch. There are many other factors that you need to consider, such as the watch construction, dial design and layout, and the movement and exterior finishing. Our last tip is perhaps the most important: never forget that you’re buying the watch for yourself. Never buy a watch because a blogger, neighbor, coworker, or celebrity told you to do so. The watch may appeal to them, but that doesn’t mean that you have to like it, too. In that same vein, don’t let someone’s negative opinion of a watch influence your opinion. The only person your watch has to impress is you.